One of the sounds heard all over Greece are bells ringing, and this was to be featured in the Opening Ceremony. 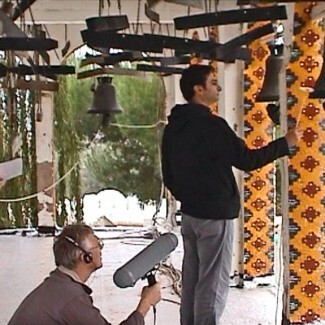 To enable there to be flexibility to meet whatever might be required it was decided to create a huge palette of bell sounds. 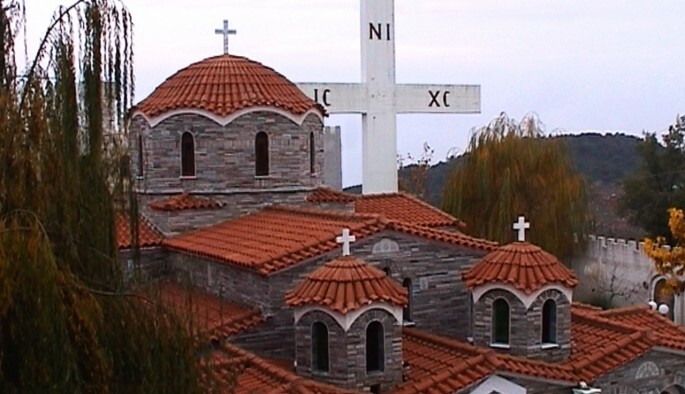 Vassilia Katsani, who was coordinating the whole production, found a monastery in western Greece that, uniquely, had a bell tower containing 62 bells. 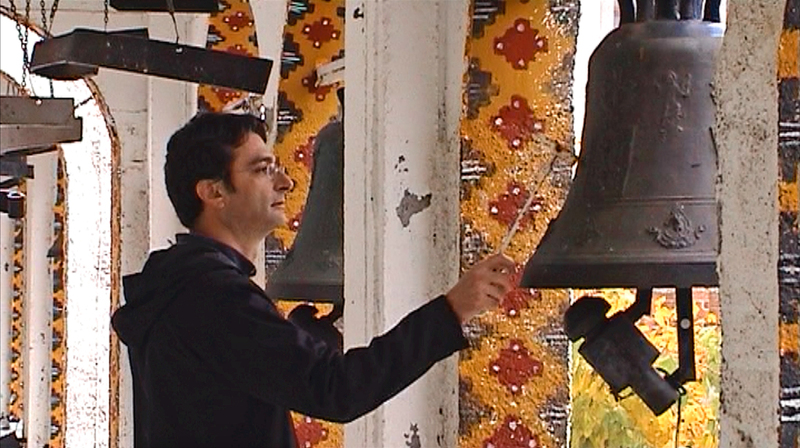 We were kindly allowed by the monks of St Augustine and Seraphim Sarof Monastery to invade their solitude and spend 16 hours multi-recording every single bell. Numerous farm animals kept by the monastery (not a sound to be heard on the recce) joined in at frequent intervals during the day, excited by the incessant clanging. The final note of the day was accompanied by the pet ostrich demanding it’s dinner! The bells at the monastery are normally struck mechanically by an automated striker which has a single dynamic. 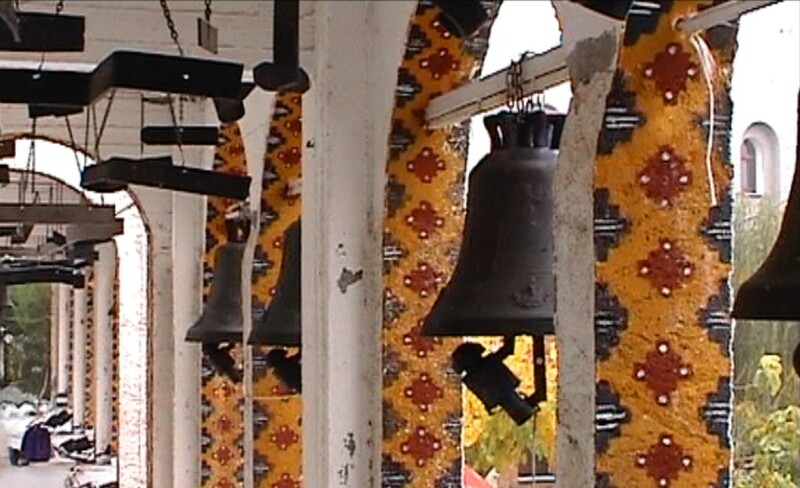 To enable us to a wide range of tones each bell was manually hit from quiet to very loud. 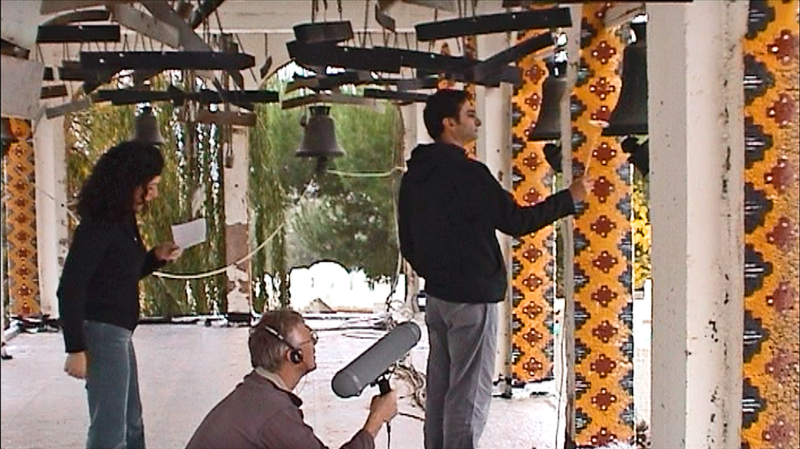 We used a Metric Halo ULN2 audio convertor with Neumann microphones to record directly to an Apple laptop all of which had to be winched/carried up the bell tower. The resulting hours of recording were then edited and compiled into a computer program. The recordings from the monastery were used to create two Logic EXS 24 sample programs. This is a multi layered bell set featuring 3840 separate bell tones. Each bell dynamically changes from ppp to fff over the complete range. Every note is adjustable from staccato to the full natural bell tone decay (up to 30″ depending on bell type). This is a single hit bell set featuring a bell set of 25 bells. The bell were struck with an electrically powered striker. The tones are in the main fuller and brighter than the performance set though of a single dynamic (fff). Both sets cover a natural range of E below middle C to G an octave above middle C.
Correct use of both sample sets can create a high definition recording that faithfully represents the original bells. 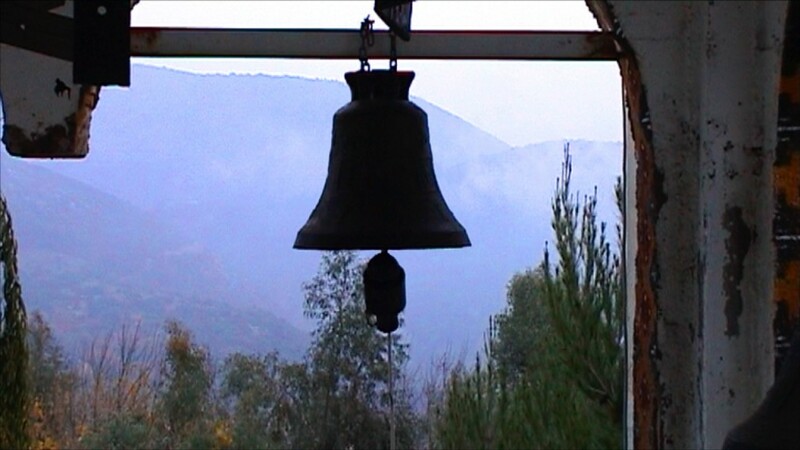 There are also scoring opportunities beyond what can be achieved with the bells alone. Track 1 was composed using the automatic set and is 1:04 to the end of the decay. There are some deliberately clashing tones within this track. Track 2 was composed using the performance and automatic sets. 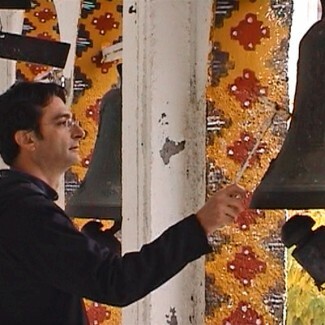 It is an arrangement for bells of a piece to illustrate that, despite the complex harmonic structure of each bell, they can be used for melodic composition. Track duration is 2:09.